RUGBY UNION: The season is over for the Condamine Cods A-grade side after losing on the weekend. In the elimination final on Super Saturday in Dalby, the Cods failed to maintain the football for long phases and bring down Rangers' attacking weapons. Rangers started the better of the two sides, taking a 14-0 lead after 10 minutes. The Cods began to claw their way back into the contest and a try before half time reduced the deficit to nine at the break. Rangers scored the first 10 points of the second half but, when the Cods scored to make it 24-12, they threatened a comeback. 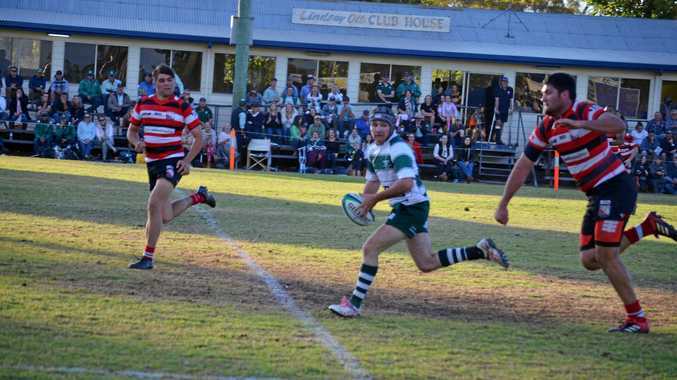 Costly errors in crucial moments hurt the Condamine side which conceded 19 unanswered points in the back end of the game. A consolation try on full time finished the game 43-17. Cods coach Ben Taylor said he was disappointed with the result but happy with making this year's finals series. Taylor said a few more youthful players to compliment his side's experience would be key to improvement next season.